We all live in our own bubbles when it comes to food. Some of us want labels like local, vegetarian or natural. Most want affordable. With all the information that exists about how food is produced, few take you inside the farms, processors, retailers and markets to show you just what’s involved in getting it from the farm to your fork. We aim to change that with stories from across Canada, so you know exactly what’s behind your next dinner. S1E11 – Why Travel Around the World To Help Another Farmer? Things that many of us take for granted here in Canada are real-life struggles for millions in other parts of the world. Having enough food to eat, having a place to sell a product, having a safe place to sleep or wondering about the safety of your next meal. There are many projects that Canadians undertake globally to help those in need, but we wanted to focus on three of them that were helping farmers and helping feed & build up communities with some great success. S1E10 – Are People Really Judging Us On What We Eat? It’s probably happened to you too. Thinking of what to have at a restaurant, wondering if you’d better have one thing over another because of what the other person might think of you. The same can be said for what you might get at the grocery store or put in your child’s lunch. So we wanted to dig into whether that judgement was real or more our imagination. While trying to find it, we found a much bigger conversation. One that involves culture and morality, about guilt and grief, and about something that millions fight with every day. S1E9 – Is Eating Insects the Next Food Trend? I haven’t found anyone that stocks their pantry with it yet, but cricket powder is now for sale at grocers as part of a growing trend to eat insects. Ants, grasshoppers or crickets, whole or ground, it’s seen as a new way to get protein. We find out from an organizer of the event BugFeast as well as the CEO of a cricket farm just where this business is going and how long before we all think insects are a great afternoon snack. 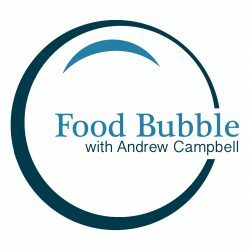 S1E8 – What Happens When We Are Afraid of Foods? We’ve all been there. Unsure of something we eat because we aren’t sure if it is good for us, safe for us or something we should make sure our kids avoid. But is that rational? And is there a way to avoid being afraid? S1E7 – Why Would A Farm Hire Foreign Workers? Thousands of workers migrate north into Canada from Mexico & Caribbean countries for the sole purpose of working on farms. Why does a farm need them and why would someone travel that farm for a job of hard labour? If you ever compare the price tags of organic milk and regular milk, you are likely seeing a pretty big difference. Why is that? We head through the food chain to figure it out. The trend to take out corn syrups leaves a big question in some people’s minds. What is it and should we really be worried about? S1E4 – Does Our Sense of Taste Change Over Time? Kids won’t eat vegetables, you start out hating coffee – how does that all change? We find out how the genetics of taste impact what you like, how the sense works and how to train it. S1E3 – Why Is Deciding Dinner So Hard? From what to cook after work, to where to eat out, to what to pack in lunch boxes we spend hours every year deciding what to eat. Why is it so hard? S1E2 – How Do You Make Food Sustainable? The word sustainable is everywhere when it comes to food and farming, but what does it actually mean? Probably not what you think…. A look at what it takes a build a successful wine region in Atlantic Canada. A snapshot of what to expect in 2019 when our new podcast launches. © 2019 Fresh Air Media.